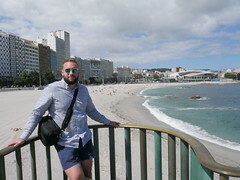 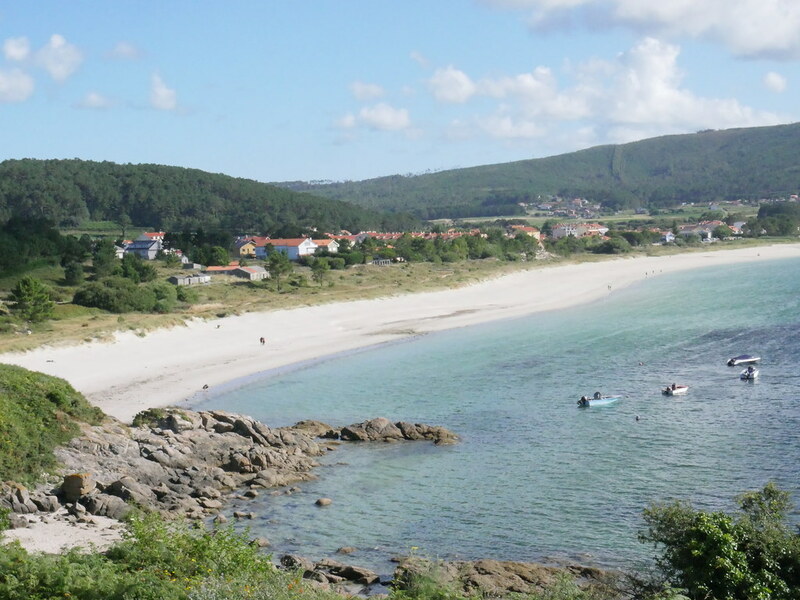 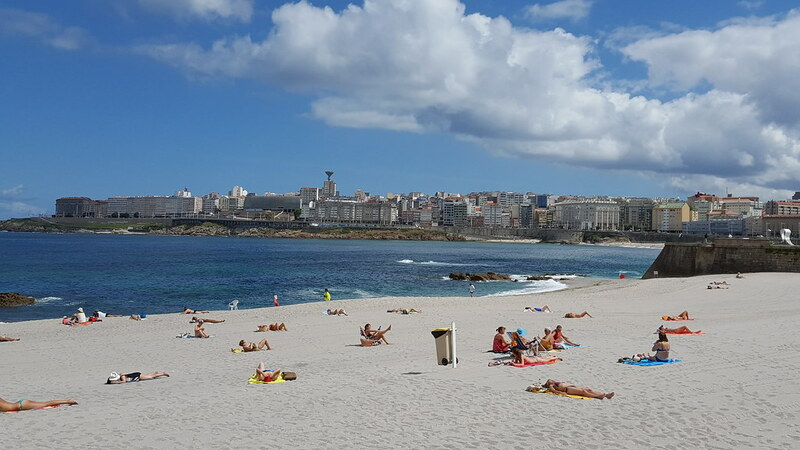 Galicia is a province in northwestern Spain with a 1200 km wild coastline and green lush interior. 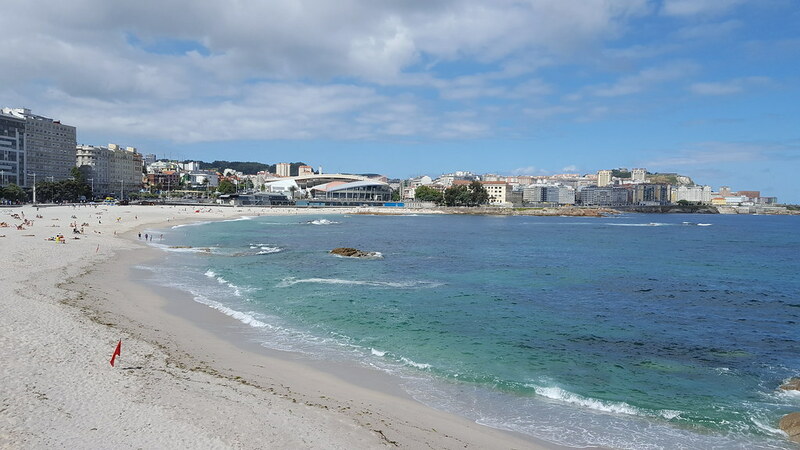 This autonomus region has its own language that is spoken of 80% of the inhabitants. 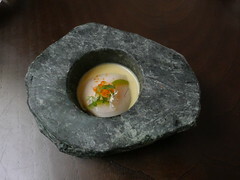 It also has a distinctive culture and cuisine. 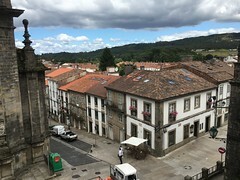 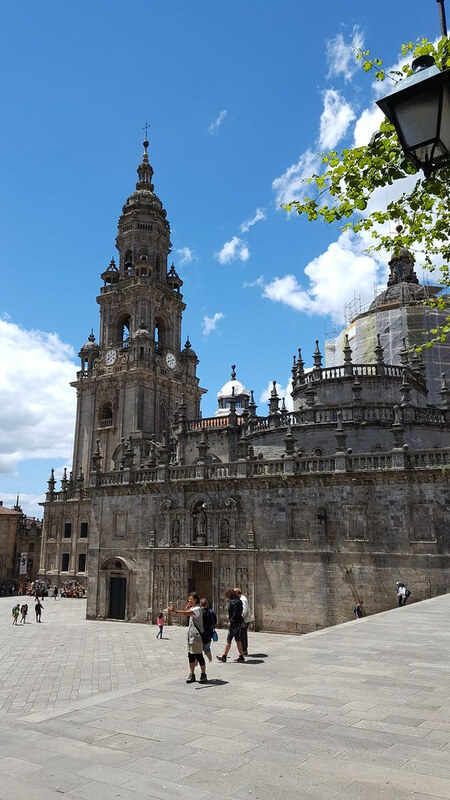 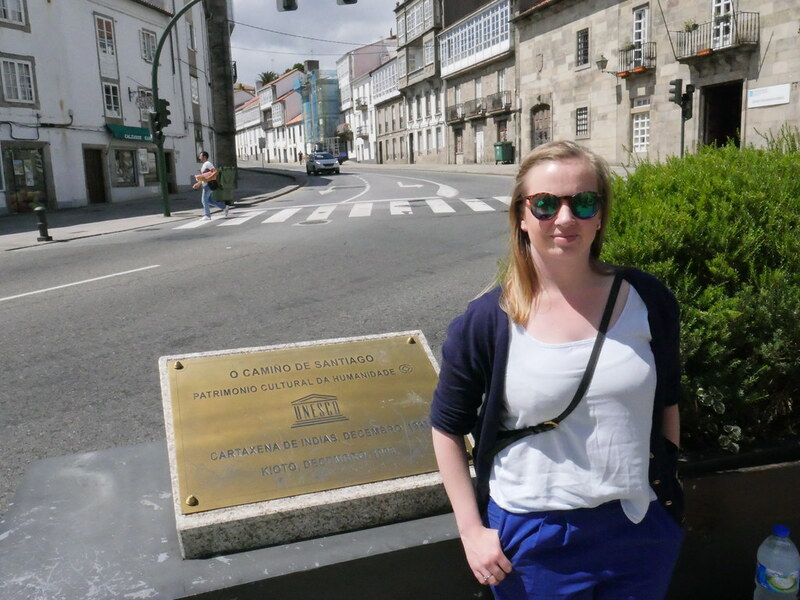 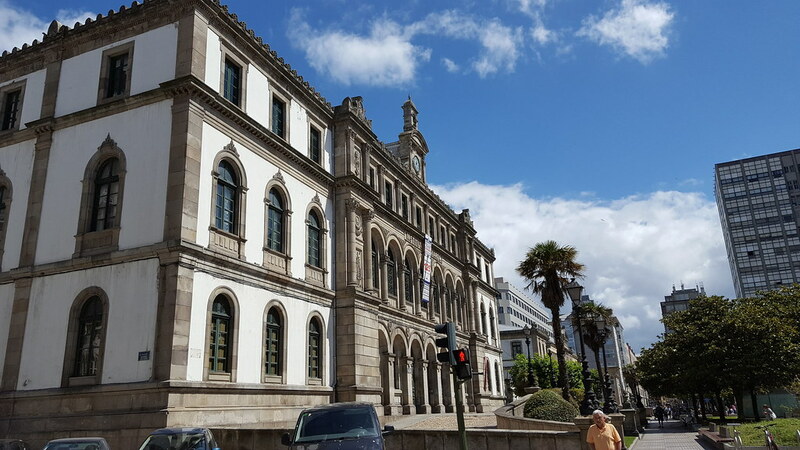 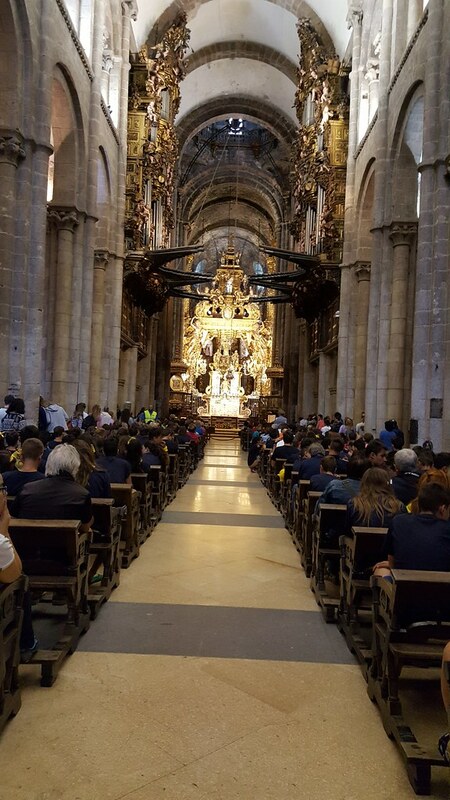 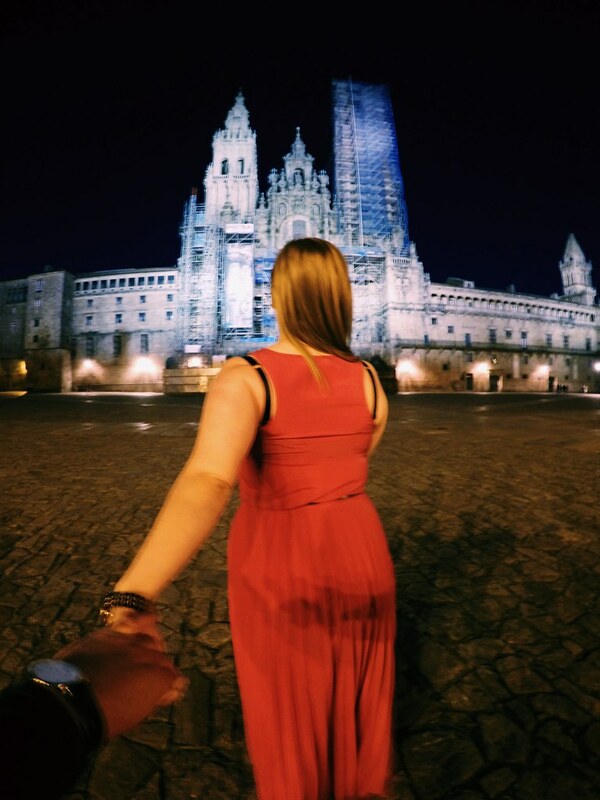 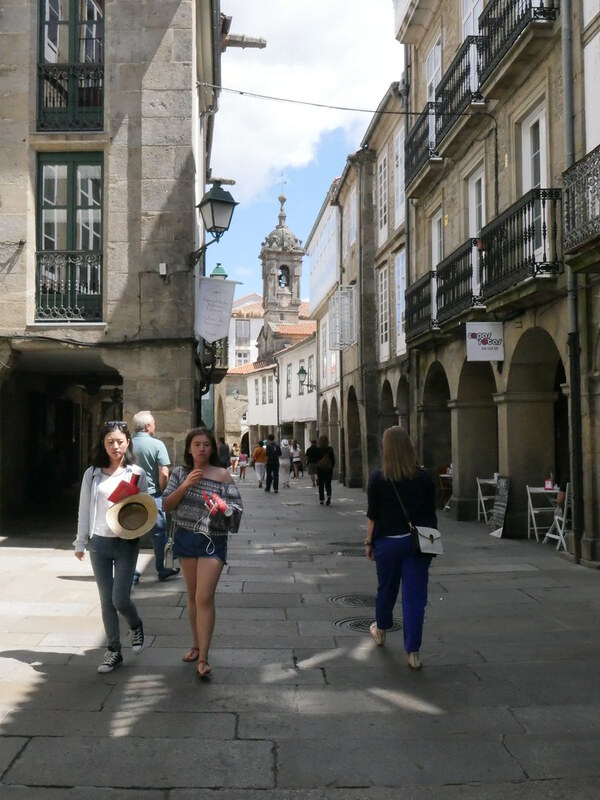 Galicia’s spiritual and cultural centre is Santiago de Compostela, the medieval city that is the end for walkers on the El Camino de Santiago (pilgrimage). 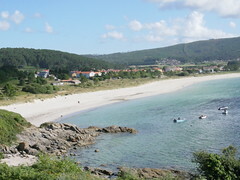 But Galicia is more than its Capital. 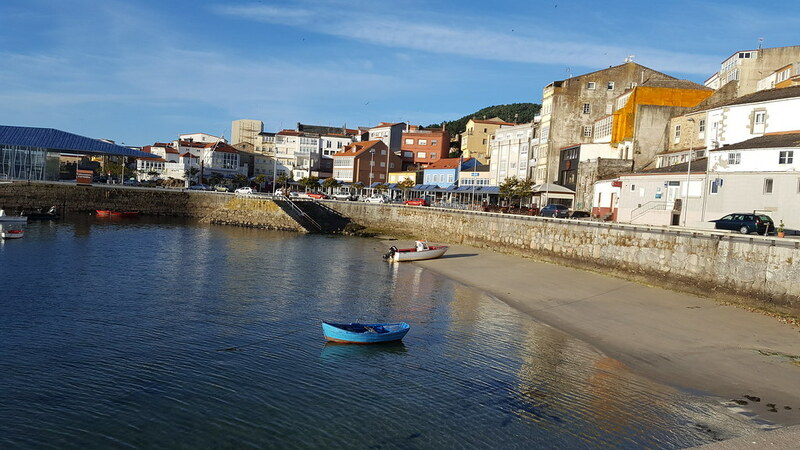 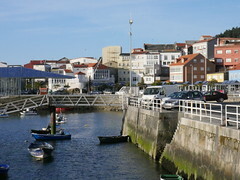 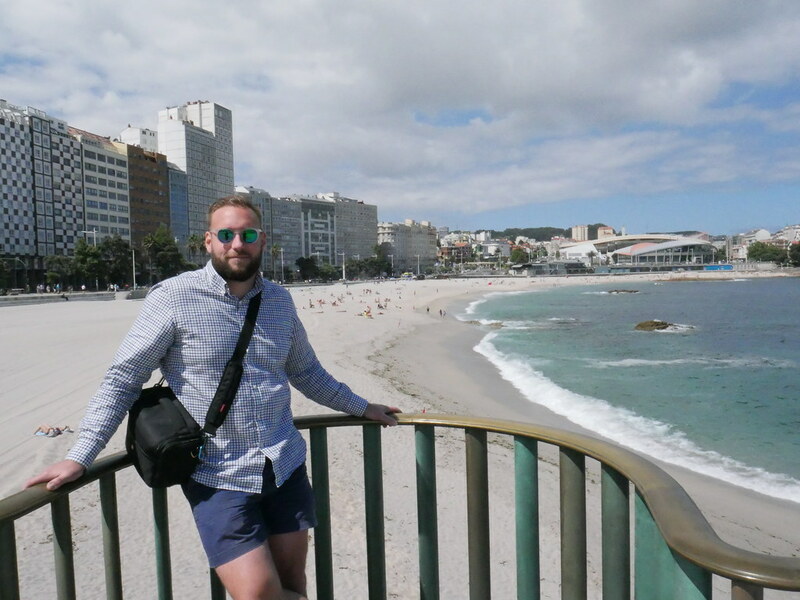 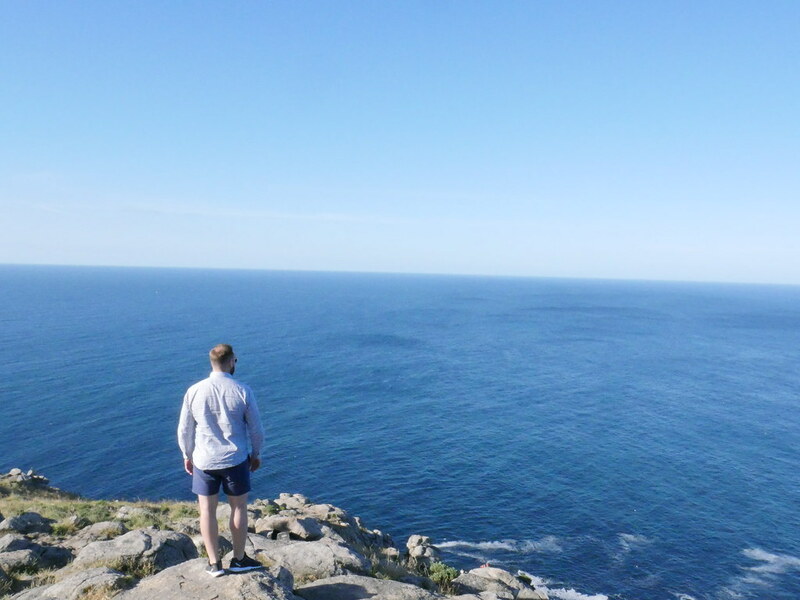 Vigo, Pontevedra, A Coruna and many small villages as Fisterra is worth a visit. Fisterra is a small fishing village where Faro de Fisterra (lighthouse) is Spains westernmost point. 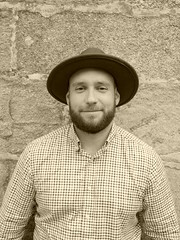 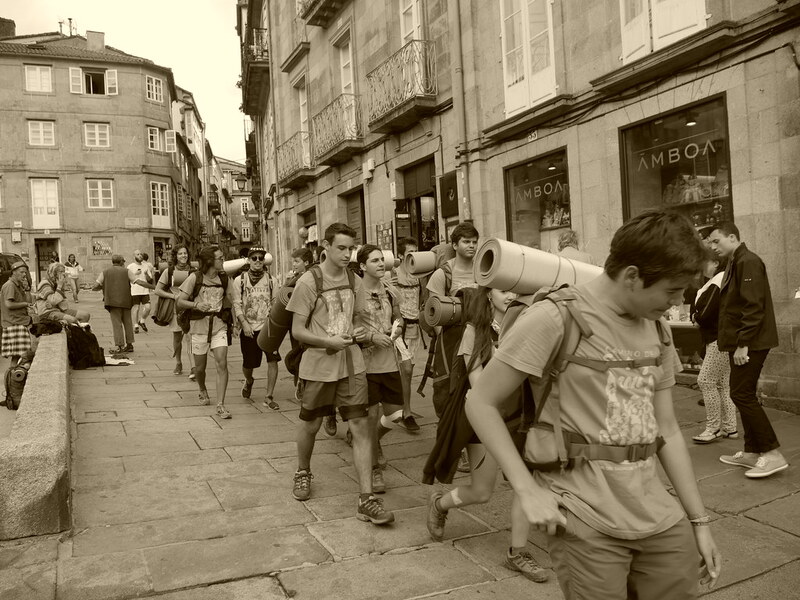 Camino de Santiago de Compostela is a pilgrimage that some people want to do once in their lifetime. 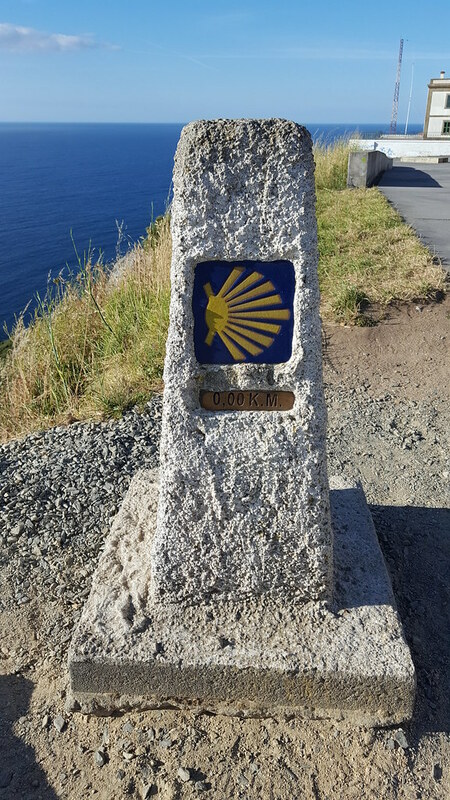 There are several routes from many places in Western Europe but the most common is the (Camino frances), that starts in Saint Jean Pied de Port, France in the Pyrenees 790km away. 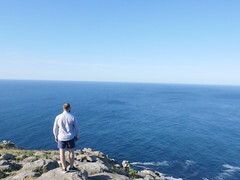 This route will take about a month but many do sections at a time. 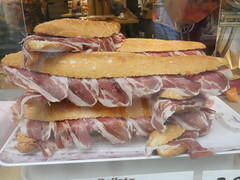 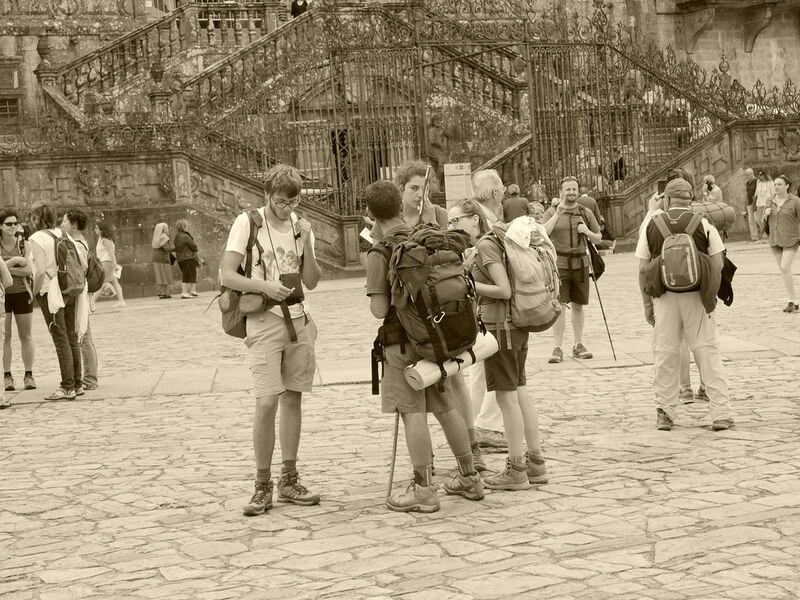 As we travelled by car from the Pyrenees to Galicia and back we met, saw, talked to many. 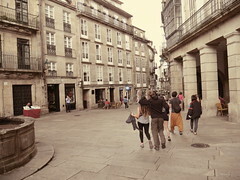 Most people were walking but there are also people that go by bike. 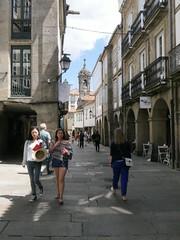 As we drove from Galicia to the Basque Country i was suprised how much of the trek that was on pure tarmac. 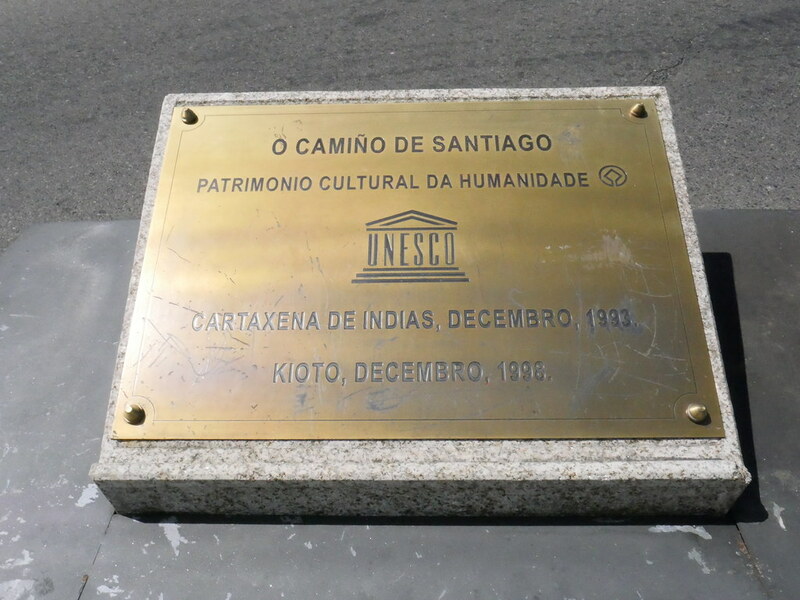 I thought the trek had tracks with various layers such as gravel, dirt, lush green lawns or fields but it diddent. 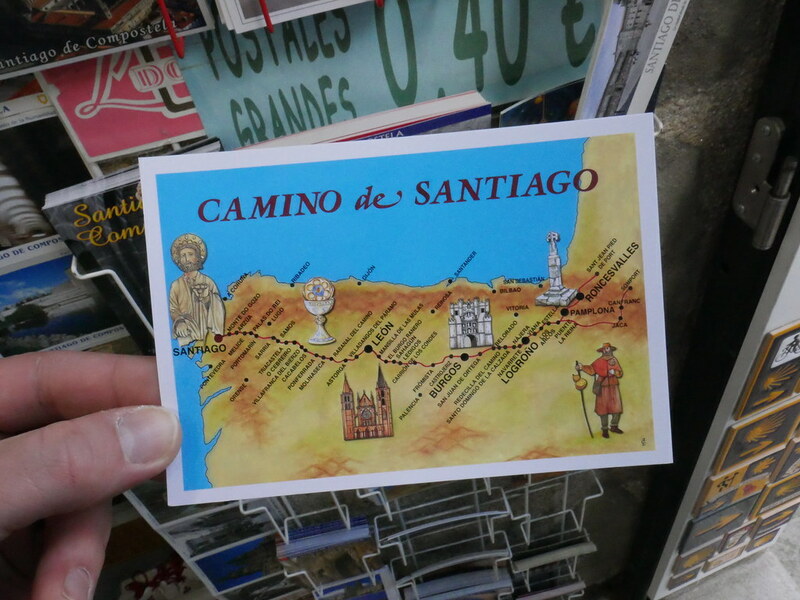 Just imagine how sore your feet or body would be after (790km) walking on tarmac. 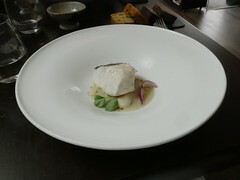 Anyhow, thats for another time. 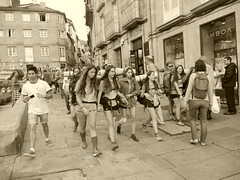 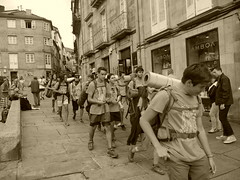 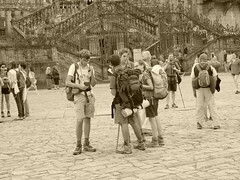 Group of pilgrims, Sant de Compostela! 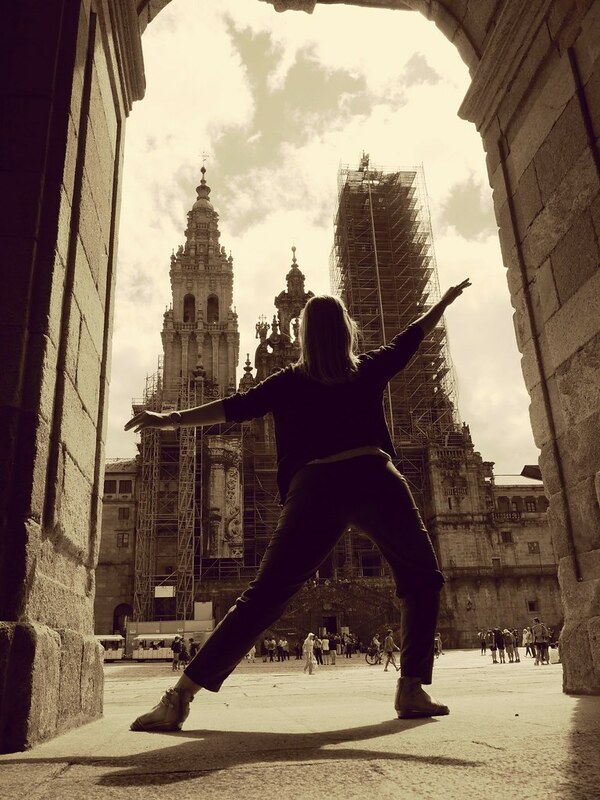 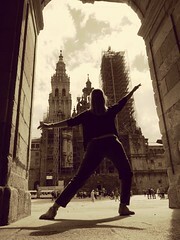 Anette dancing away, Santiago de Compostela! 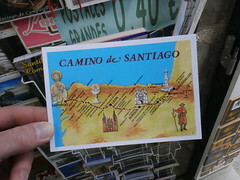 Here you see the Camino track from France! 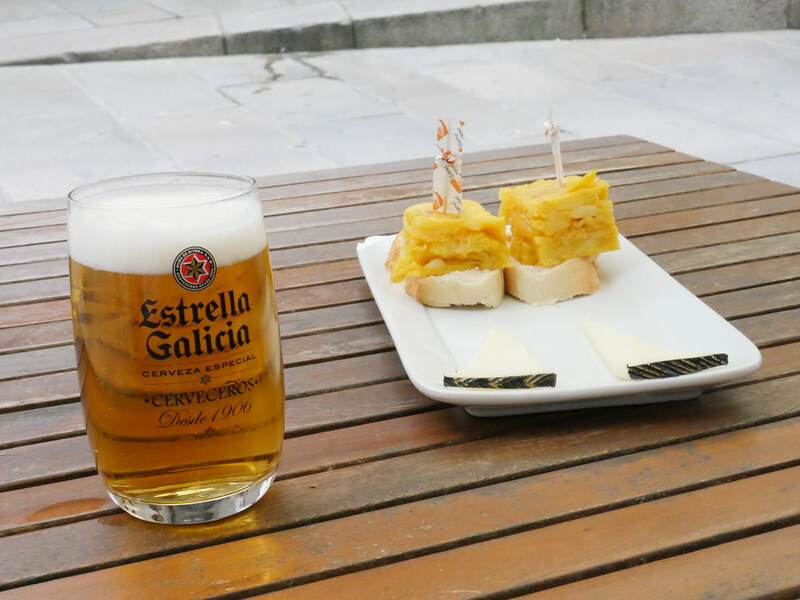 Relaxing in Sant de Compostela with s local brew! 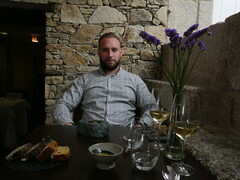 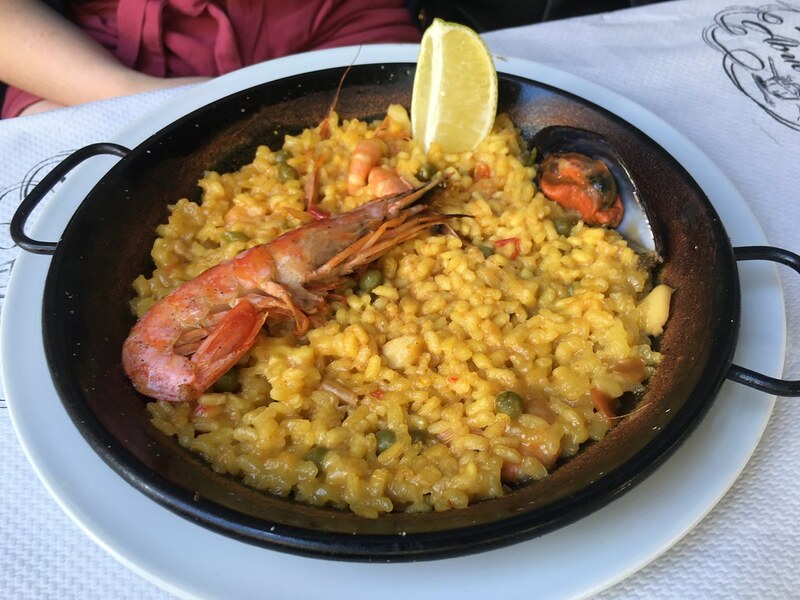 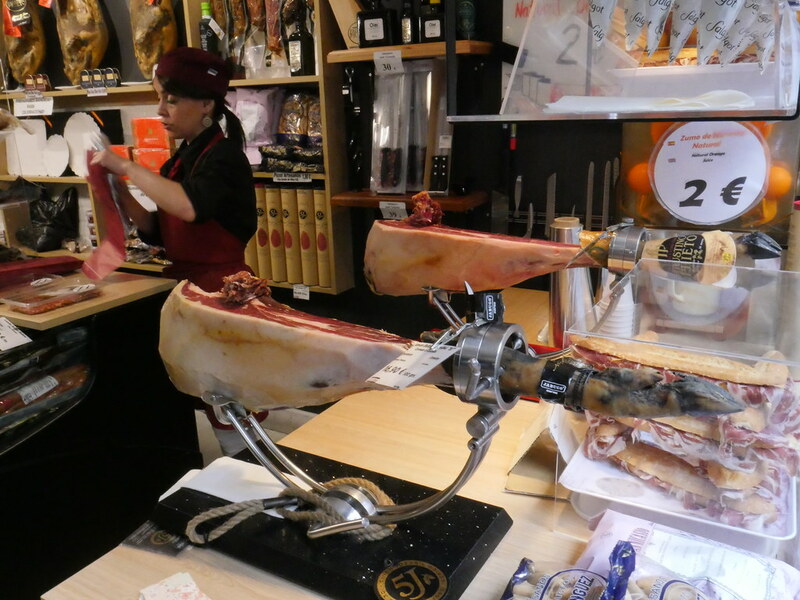 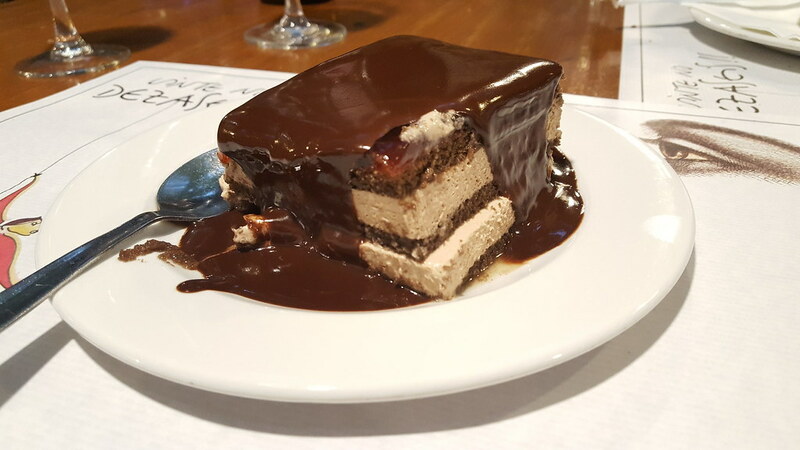 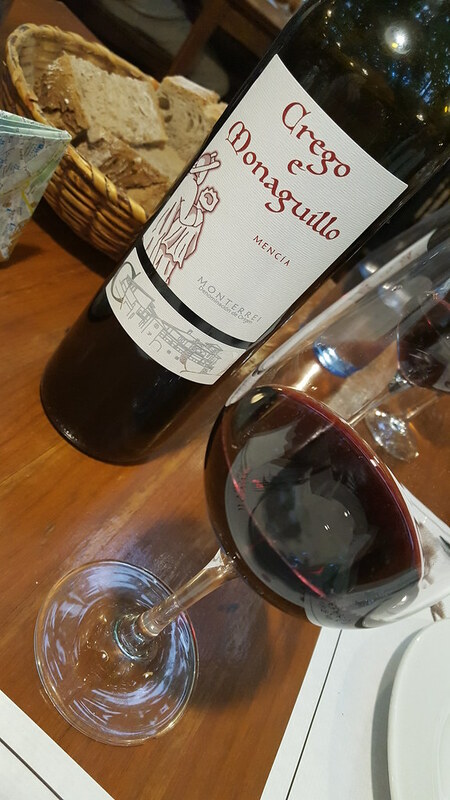 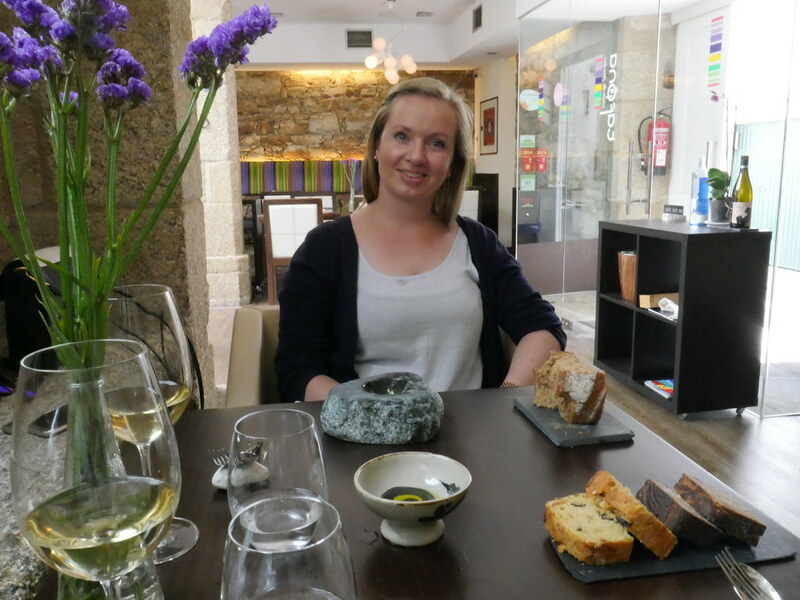 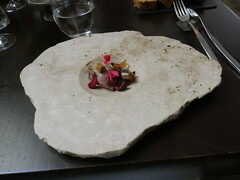 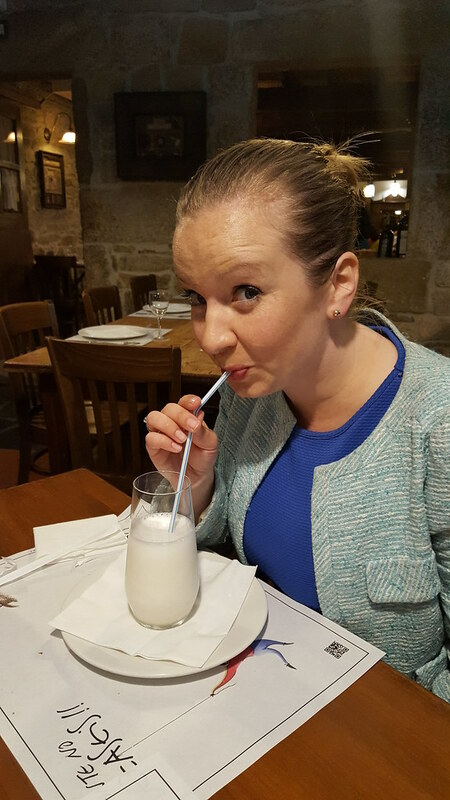 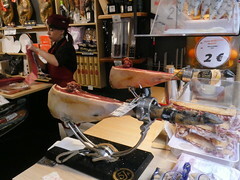 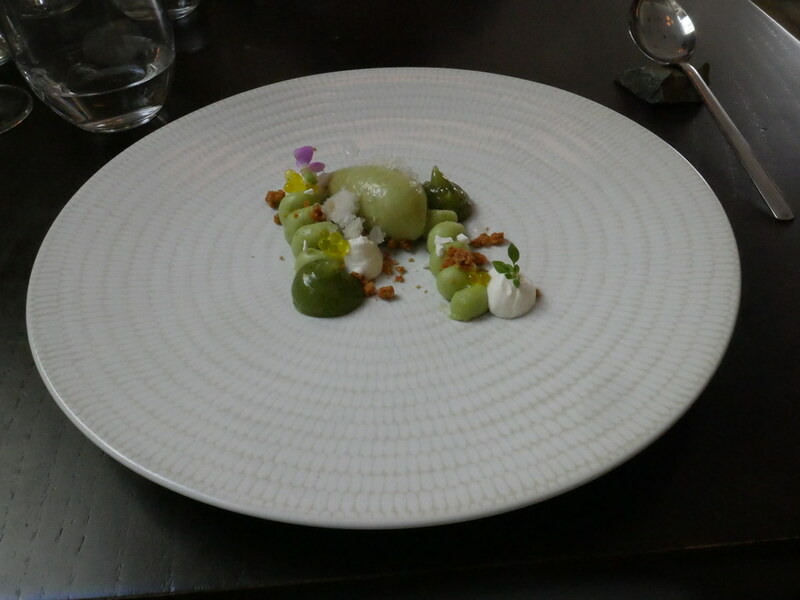 We read this restaurant was one of the better choices in Santiago de Compostela. At Tafona waiting for our 7 course meal! El Camino, a UNESCO site! We drove here, but there are people that walk 790km from France too! 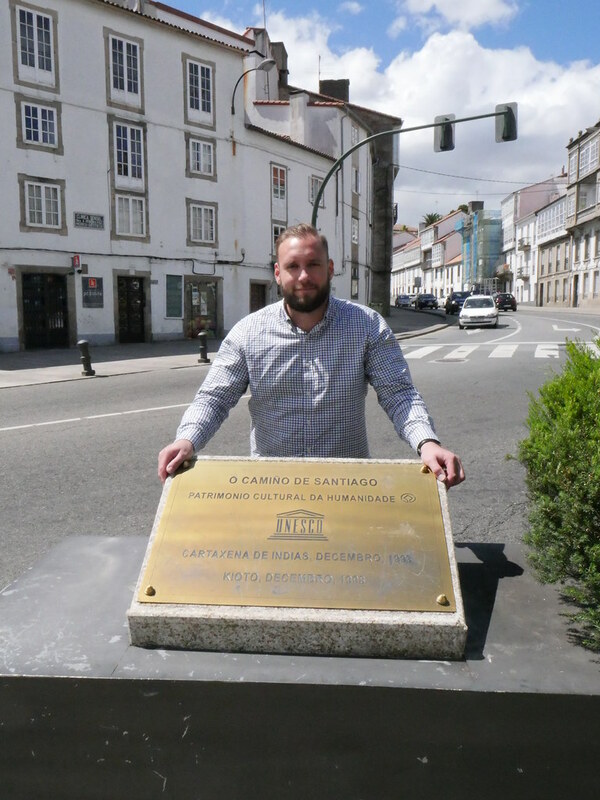 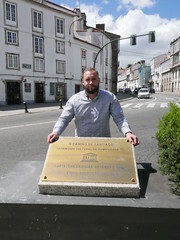 Infront of the UNESCO sign for the El Camino! 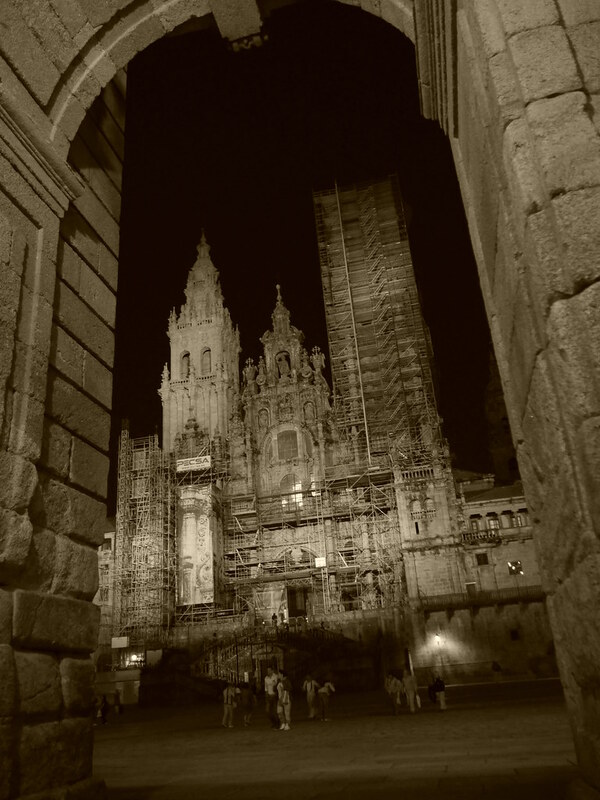 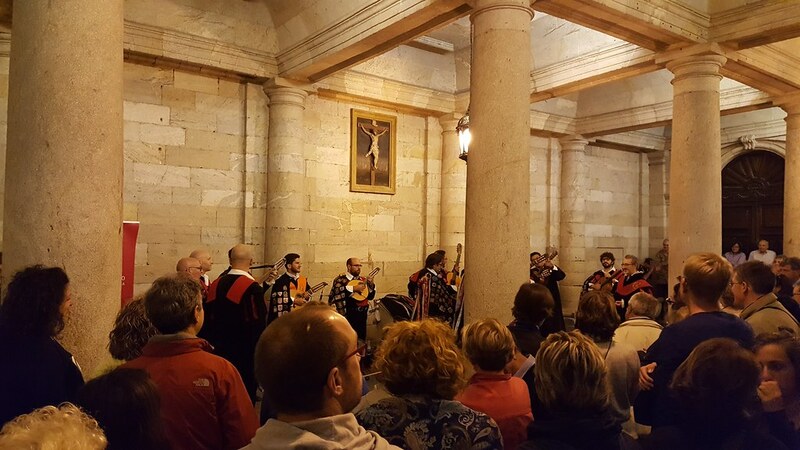 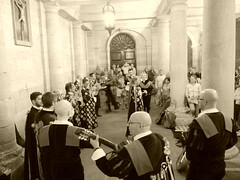 Night concert, Santiago de Compostela! 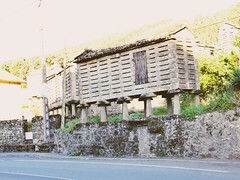 Driving thru Galicia we saw lots of boxes/houses like these. Im not sure what they are but maybe storage for food or even places to keep ancestors to rest! 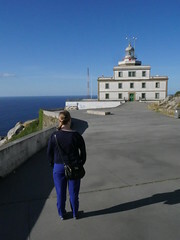 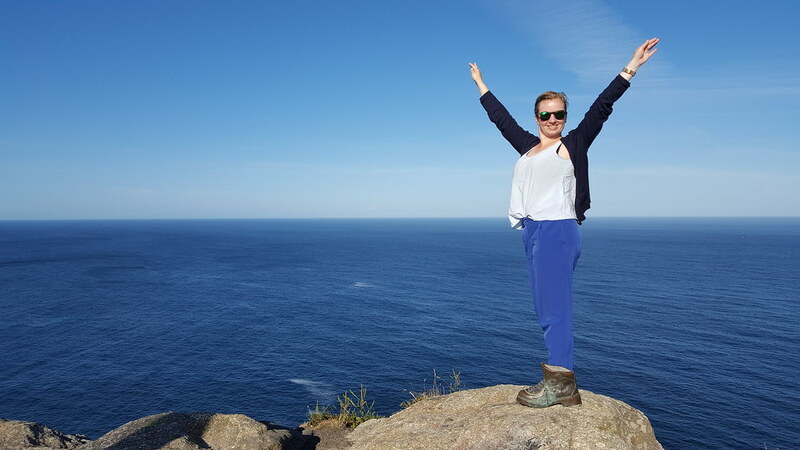 Anette infront of the lighthouse, Faro de Fisterra! 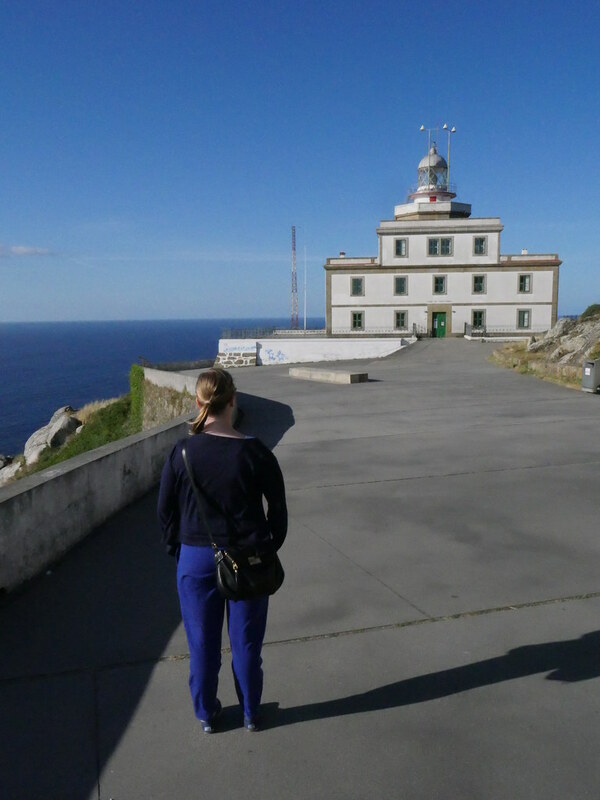 The westermost point in mainland Spain! 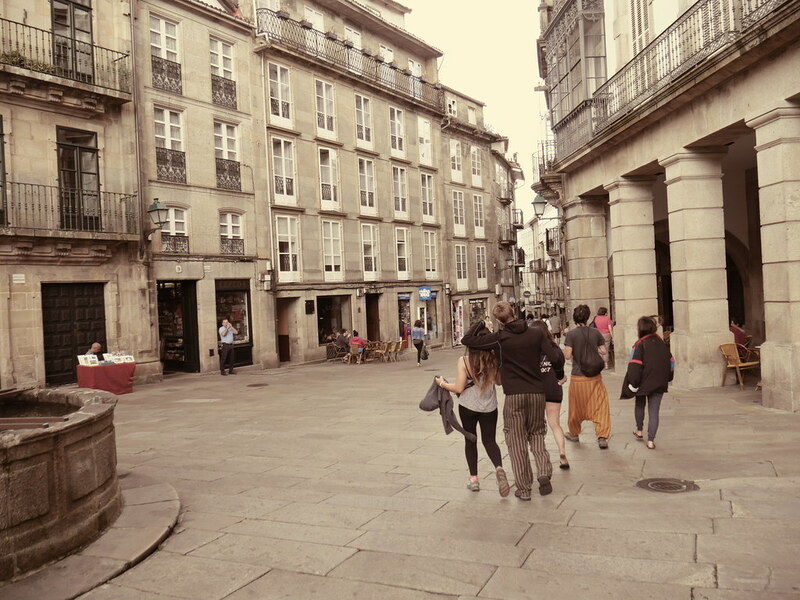 Santiago de Compostela reminds me of citys in South America's highlands! 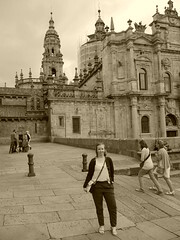 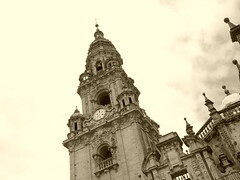 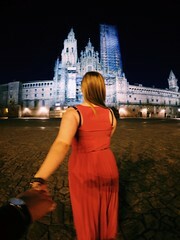 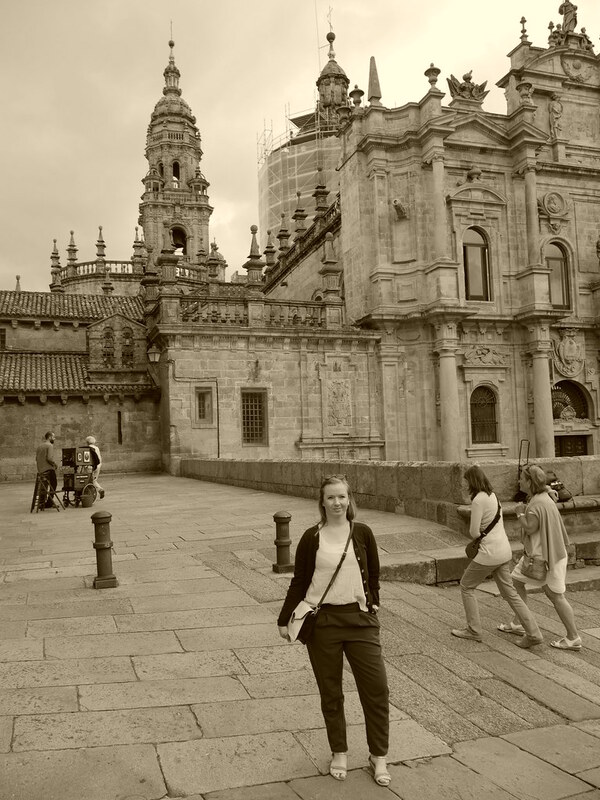 Cathedral de Santiago de Compostela! Really good acustic in the old parts of Santiago de Compostela! 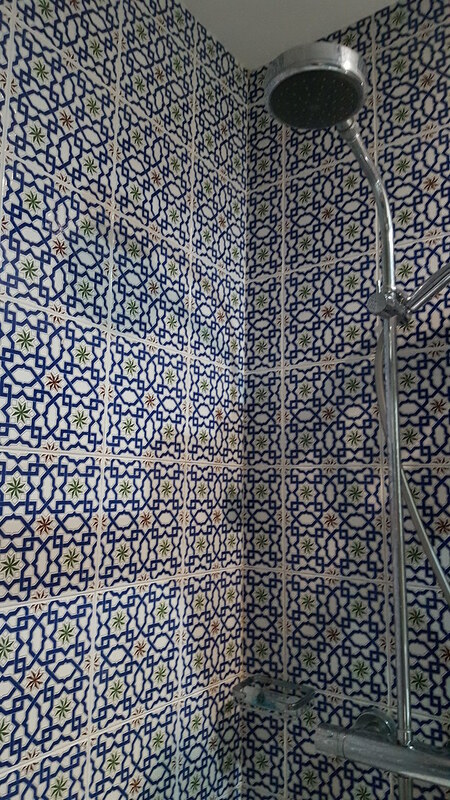 Tiles in our shower at the hotel! 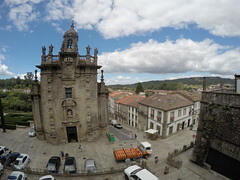 The end of Camino Santiago! In the city of Leon, having lunch! The Cathedral everyone walks to as Pilgrims! 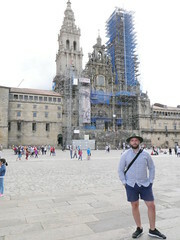 Next time we might walk to Santiago de Compostela as pilgrims. 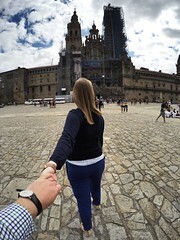 Or maybe not! 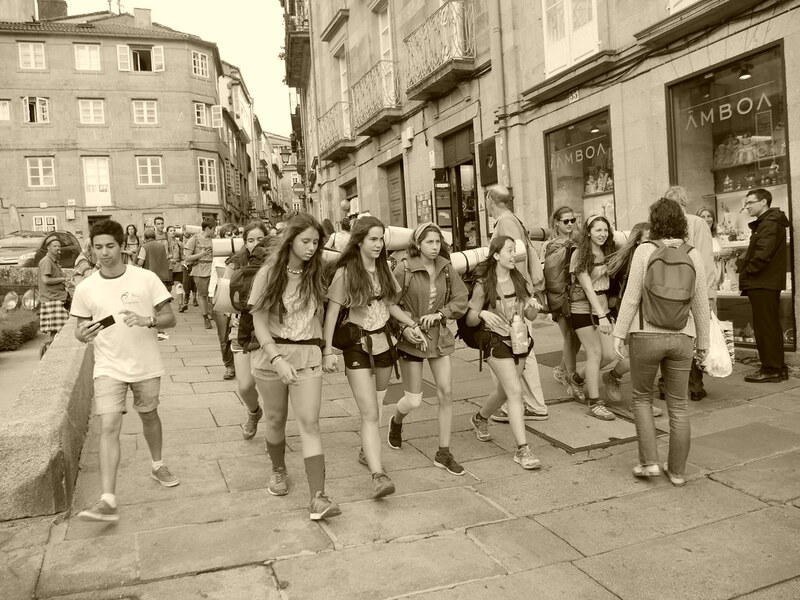 ← Basque Country, july 2016!